SPECTRUM is a user-led organisation, run and controlled by disabled people. As an advocacy organisation, SPECTRUM seek to change the way disabled people are viewed, included and valued for who they are and what they contribute to society. As a service provider, they design and deliver services that are personalised, empowering and enabling for users, and cost effective for commissioners. SPECTRUM services help Disabled People to live the lifestyle of their choice, and realise the same opportunities and control that non-disabled people take for granted. Chief Executive and Trustee of Disability UK, Ian Loynes will be joining the project as an advisor. UK Youth believe that local organisations understand the needs of local young people better than anyone else. Their aim is to support and strengthen those groups to maximise the positive impact they have on young lives. UK Youth work in partnership with inspiring youth organisations across Scotland, Wales, Northern Ireland and England, ranging from traditional youth groups and sports clubs, to schools and social enterprises. Winchester Science centre is looking to partner with UK youth on a strategic approach to raising STEM engagement with disadvantaged groups. UK Youth will be providing support to 1in5 through an intermediary service with the disabled groups that visit their outdoor activity centres. UK Youth have extensive experience in working with disadvantaged groups and WSC is looking forward to working with them on the exciting future of this project. The University of Southampton Auditory Implant Service (USAIS) was established in 1990 to help severely to profoundly deaf adults and children. Since the programme began surgeons have implanted over 1000 auditory implant devices. USAIS firmly believe that the treatment of both adults and children by the same team is a great strength. Furthermore, the feedback which adult patients have given has provided valuable knowledge for working with young children who may be unable to report what they hear. A further advantage of this service is its situation within the University of Southampton, providing a perfect location for high quality research. USAIS treat patients from all over the south of England and the Channel Islands. Auditory implant surgeries are carried out by three surgeons at five hospitals in Southampton, Portsmouth and Hampshire. “Hearing loss will affect one in three people at some point during their lifetime. Untreated hearing loss is linked with higher unemployment, depression, dementia and increased mortality. However, awareness and understanding of hearing loss among the general population is poor. As few as one in twenty adults who could benefit from cochlear implantation currently do so (Ear Foundation, 2016), due in part to low awareness of the benefits of cochlear implantation among the general population (Sorkin, 2013). A recent systematic review has shown that stigma of hearing loss is a factor reducing access to hearing services while recognition of hearing loss is needed by individuals before they access services (Barnett et al., 2017). At the University of Southampton Auditory Implant Service (USAIS) we have recently gathered a range of qualitative evidence documented via http://ais.southampton.ac.uk/patient-stories/ which shows that, for many people, lack of awareness of services and understanding of hearing loss and its treatment, delayed access to cochlear implantation. Early intervention for hearing loss via hearing aids, cochlear implants and other treatments has a hugely positive impact in preventing and minimising the negative consequences of hearing loss. USAIS, a research-active clinical centre of excellence in the treatment of severe and profound hearing loss, is working closely with Action on Hearing Loss, the British Cochlear Implant Group and other agencies to campaign nationally for better access to treatment. The proposed project would be an invaluable resource to support these wider public health aims and to overcome the stigma of “the invisible disability”. WSC has been working with The Elizabeth Foundation for the last 12 months, understanding their needs and how this project can help support their work. The Chief Executive of The Elizabeth Foundation, Julie Hughes, will join the advisory panel and be an advocate for the parents of children with a hearing impairment. Blue Apple was founded in 2005. Through the skills and enhanced confidence gained through the arts we seek to change the way people see and understand learning disability. Further, to raise the ceiling of expectation for people with learning disabilities. Blue Apple provide a programme of dance & drama sessions tailored to individual needs for over 70 people. All activity is designed to build and sustain improved confidence and physical and mental wellbeing while, at the same time, producing exciting, engaging and inspiring art. Blue Apple will be a major arts link for 1in5 and discussion are in place for the new Live Science Theatre to be a permanent home for Blue Apple in the future. Artistic Director Richard Colon will be joining the advisory panel for 1in5. Naomi House & Jacksplace hospices provide expert hospice care to more than 440 life-limited and life-threatened children, young people and their extended families from Hampshire, Wiltshire, Dorset, Berkshire, West Sussex, Surrey and the Isle of Wight. They have a particular emphasis on innovation, clinical excellence and holistic care meaning they can care for children and young people with some of the most complex medical needs. Naomi House and Jackspace take the time to really get to know the family and fully understand their wishes. They offer them vital respite support, giving them the chance to recharge their batteries and regroup in a calm, fun and welcoming environment. In times of emergency Naomi House & Jacksplace is there, giving families the help they need through difficult times. And at the end of a child or young person's life, they pull out all the stops to give them a peaceful and dignified end, surrounded by family members. Winchester Science Centre has been piloting activities for young people and their families through Naomi House and Jackspace. CEO Mark Smith is a supporter of the project and WSC will be continuing to work with Mark as part of the advisory panel for 1in5. Terrell Architecture, part of the Terrell Group was formed in response to Structural Engineer Dan Conroy and Architect James Burland’s belief in a new way forward for the architecture-engineering partnership. Their skills are married together in Terrell Architecture, offering an interdisciplinary service where the client benefits from a balance of subjective and objective thinking, combined to produce great buildings. Terrell Architecture are leading the creative process in partnership with Sustainable Acoustics. They have been working on 1in5 for eight months. Sustainable Acoustics was formed in 2014 by Peter Rogers from an established and respected consultancy for the purposes of using acoustics to make things better. We strive to seek out these opportunities and clients that will benefit from what we know. Peter Rogers is a keen supporter of 1in5 and has been instrument in bringing in creative partners and other supporters. NSC Creative is an award-winning UK studio with 15 years of experience in immersive media. They specialise in immersive experiences for theme parks, VR, domes, 3D/4D, museums and science centres. Based at the National Space Centre in Leicester, NSC Creative were chosen from an extensive international tender for their creativity and keen interest in a partnership way of working. NSC Creative will be leading the planetarium refurbishment and providing content for the system. Science Projects has 31 years of experience working with hands-on exhibitions. They produce world-class exhibitions for science centres as well as managing The Observatory Science Centre. Science Projects is a not-for-profit organisation and has been chosen to lead on delivery of the new exhibition for 1in5. 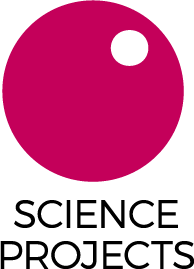 Winchester Science Centre has a strategic partnership for public engagement with the University of Southampton and this project is a continuation of that partnership. The Institute of Sound and Vibration Research (ISVR) and USAIS will be supporting the hearing loss elements of the exhibition and also providing content and information related to Sound and Vibration which will feature prominently in the exhibition. Senior Lecturer in Acoustics at the ISVR Dr Matthew Wright will be a lead consultant on the project and the university has committed 10% of Dr Wright’s time for the length of the project. The ISVR have kindly donated a ‘Sound Sphere’ to form a part of the exhibition and will be providing further content as part of the Research Excellence Framework Impact Case Studies for Public Engagement. The 1in5 exhibition will be a primary route for faculties within the University to disseminate their research through creating exhibits and hosting events at WSC for researchers to directly engage with the general public. WSC has considerable experience in working with Universities to showcase cutting edge research in an accessible way. WSC and the University of Southampton will also be collaborating on joint outreach activities at major events. Winchester Science Centre is currently home to an exhibition produced by the University of Winchester about expressing your voice. This exhibit will be re-purposed within the new exhibition and additional resources created to explore how our vocal systems work and how we use them, and how we communicate without them.